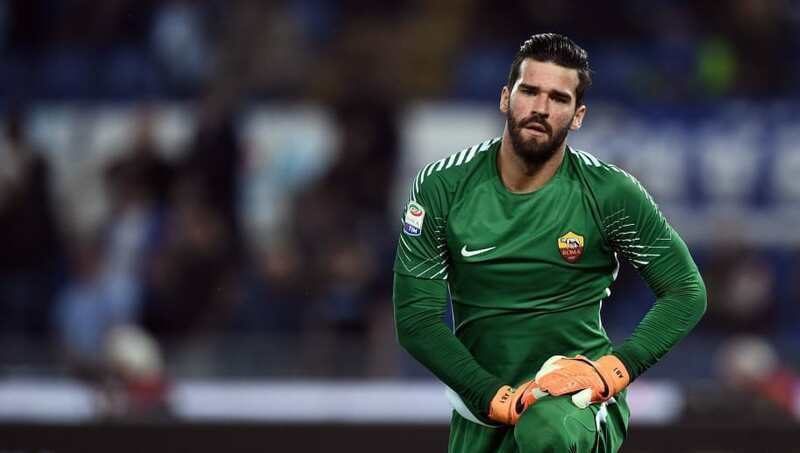 AS Roma goalkeeper Alisson Becker has been told that he won't be leaving the Italian capital this summer, despite attracting strong interest from across Europe. The Brazil international has been involved in a transfer merry-go-round this season, with the most notable links suggesting Alisson would join either ​Liverpool or ​Real Madrid. But ahead of Roma's Champions League semi final trip to Anfield next week, club president James Pallotta confirmed that there was "zero" chance that Alisson would leave the Stadio Olimpico during the summer. "We have no intention of selling him," Pallotta told Sky Sport Italia (via Football Espana). "I mean zero at all. I'm sure some people will probably come in with some bids, but I don't have any interest in selling him, he's a great goalkeeper. Alisson only joined the Giallorossi in 2016, leaving Brazilian side Internacional for £7m, and he spent most of his first season in Rome as a back up to loanee goalkeeper Wojciech Szczęsny. But with the Poland international moving to ​Juventus during the summer, Alisson was called upon to step up this season and the 25-year-old hasn't disappointed. Former Liverpool goalkeeper Pepe Reina is currently leading the way in Italy for the most clean sheets this season. His tally of 16 is closely followed by ​Inter Milan veteran Samir Handanović, while Alisson occupies the third spot in the ​Serie A goalkeeping charts.